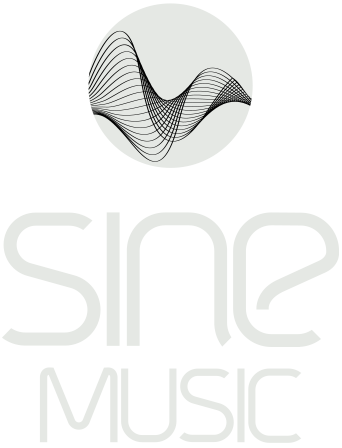 Any business relations between SINE MUSIC Store – a division of Cosmic Sound GbR – (hereinafter referred to as SINE MUSIC STORE) and the purchaser shall be exclusively subject to our General Terms and Conditions as valid and published at the time of ordering. Conflicting conditions of the customer will not be accepted by SINE MUSIC STORE unless expressly otherwise agreed upon. Your order represents an offer to us to conclude a contract of purchase. The e-mail confirming your order is not an acceptance of this offer but merely informs you that your order has arrived with us. A contract of purchase is only concluded when we dispatch the ordered goods to you. Should items from the same order be shipped at different times, there will be no contract of purchase for the items not included in the shipment. You are entitled to cancel the conclusion of the contract within a period of two weeks Ð either in written form (e.g. letter or e-mail), without giving a reason, or, in case you have received the product prior to expiration of the period, by returning the product. This period starts with receipt of this instruction in written form, but not before the purchaser has received the goods in full (when similar goods are delivered in repeated instalments the cancellation period does not begin until after the first instalment has been delivered) and also not before we have met our information requirements pursuant to Section 312c Abs. 2 BGB (German Civil Code) in conjunction with Article 1 Para 1,2 and 4 BGB InfoV as well as our obligations under Section 312e para. 1 sentence 1 BGB in conjunction with Section 3 BGB InfoV. To comply with the permitted period for cancellation, it is sufficient to send off the revocation or the item(s) in due time. In the case of a valid cancellation the performances received mutually by the parties must be restored and where applicable any emoluments obtained (e.g. interest or a user fee for the use of an item) must be returned. If you are unable to restore to us the performance received in full or in part or only in an impaired condition, you must in that case compensate us for the respective value thereof. In the case of the delivery of items, this does not apply if the impairment of the item can be attributable solely to an inspection thereof, such as you might have been able to do in a shop. For the rest, you may avoid the obligation of value compensation by not treating the item(s) as your own nor doing anything which might affect its/their value. Goods that may be dispatched by package/parcel have to be returned at our risk. You are to pay the return costs if the goods supplied are the same as the goods ordered and if the price of the goods to be returned does not exceed 40.00 EURO or, if the price of the goods is higher, if you have not yet made a payment in return or a contractually agreed part payment at the time of cancellation. Otherwise the goods can be returned free of charge. Goods which cannot be dispatched by package/parcel will be collected from you. Obligations regarding the refunding of payments must be met within 30 days. For you, this period starts on the date on which you send your statement of cancellation or the goods, while for us it starts on the date on which we receive your statement of cancellation or the goods. In case of services, such as the use of the MP3 download portal, your right of cancellation expires prematurely if the contract from both sides is fulfilled at your wish before you have exerted your right of cancellation. The right of cancellation shall not apply to distance contracts for the delivery of audio or video recordings or software in case the delivered data carriers have been unsealed by the customer. Delivery dates are to be regarded as merely approximate and without obligation, unless a fixed date has expressly been promised in writing (via e-mail). If the delivery is delayed by force majeure, alterations of licenses and laws by authorities, operating problems, labour disputes and/or shortage of material also if they arise with suppliers we cannot be held responsible. This applies also where periods of time and dates are the subjects of binding agreements. In this case, the agreed delivery time shall automatically be prolonged to an adequate time period necessary for the problems to be solved. We are at all times entitled to partial delivery the customer may not refuse it. Partial deliveries may be charged at once including shipping and postage. We strive to dispatch as promptly as possible, in most cases within a couple of days. SINE MUSIC STORE reserves the property right of the delivery item until all payments related to this business connection with the customer are received. All prices are listed in Euros and include the applicable legal value added tax. Shipping and transport costs shall be borne by the customer. Letters are delivered by Deutsche Post, parcels by Deutsche Post/DHL. The costs can be viewed here. Payment for goods can be viewed here. In the event delivered goods are damaged or faulty, the statutory provisions apply. Any assignment of claims to third parties is not permitted. Customers shall only have the right to set off counterclaims provided that these are legally valid and undisputed by SINE MUSIC STORE. The customer will only be authorized to exercise a right of retention if his counterclaim is based on the same contractual relationship. If any provision of these terms and conditions is invalid and/or unenforceable, the remaining provisions shall continue to be valid and enforceable.